Here is a shot of some Tele pickups I made last week. These went out to Steve Benford and were designed after Esquire pickups. They were to be used in a replica of the guitar made famous by The Boss. This iconic guitar was built out of old Tele and Esquire parts. 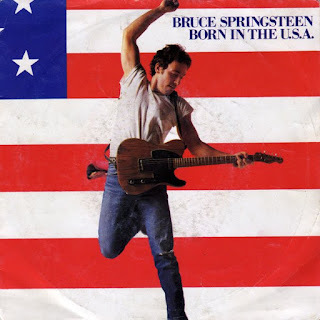 I think the first time I remember seeing it was on the Born in the USA cover. Needless to say it's gone on to do a little rockin' over the years... A classic..
Great job. Great collaboration between you and the Benford, again. Maybe I can one if I successfully stop smoking.